We hear a lot about resilience – described by some as ‘grit’, ‘determination’, ‘self-control’ and ‘character’. Most agree that it is the ability to resist adversity, and to bounce back from adversity when you feel you can’t avoid it – for example bullying, exam stress, relationship issues, or the little things in life that some days just add up to make the day very hard to deal with. For public health, resilience is a critical building block for good physical and mental health. It can provide the basis for a happy childhood and a positive and productive adult life. We recognise that it is more than just about individual characteristics – it is shaped by the place and the context we live in. Our social, economic and physical environments all have powerful influences on our resilience capabilities. In 2015 we published a framework to help local authorities, schools and professionals think about how best to support young people’s health and wellbeing. 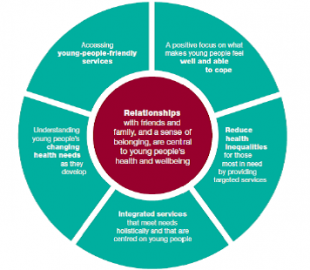 We recommended that each area should consider five key actions, at the heart of which is the importance of positive relationships for young people. This advice is based on the evidence of what works, and the issues that young people told us matter most to them. School nurses and other public health professionals understand these factors. They are ideally placed to provide important face-to-face support to a young person (for example in school and youth centres) and to signpost them to other specialist forms of help. 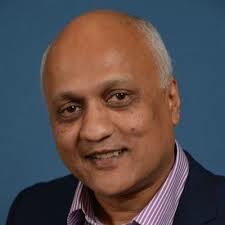 They also have a critical role to help shape the local health, education and social care systems so that these make it as easy as possible for young people’s needs to be met in a timely way and to avoid being shunted from one service to another. For example, our guide on the effectiveness of a whole school approach shows how school nurses can and do develop initiatives that help pupil wellbeing – and this is shown to have a positive impact on educational attainment. PHE has a strong social marketing presence to support young people through our online Rise Above campaign. Full of topics and advice on the issues that matter most to young people, and often in their own words, the site aims to give advice in a friendly and accessible way. If you want to find out just how well young people in your area are doing against some important health, education and social care outcomes, go to PHE’s dedicated young people’s data and intelligence website .